Shoulder dislocation and subtle instability are often associated with direct trauma eg rugby and Judo but more subtle presentation may arise from repetitive over-load as a result of gym work and weights. Keyhole surgery can produce remarkable results restoring function rapidly. Our unique early mobilisation program can ensure a degree of normality with a good range within two weeks eg driving. Twelve weeks is usually sufficient for full contact as tested by some of our elite contact athletes. Also known as adhesive capsulitis, frozen shoulder is a painful and degenerative condition characterised by stiffness and pain in the shoulder joint. Dislocation of the AC joint (acromio-clavicular joint) is a high energy injury which tears the strong ligaments holding your collar bone in place. Instability weakens the shoulder and the collar bone can be seen sticking up under your clothing. Early repair affords the best results which is enhanced by early mobilisation if at all possible. The InternalBrace helps to strengthen repair and reconstruction and supports during early mobilisation. The InternalBrace addresses both superior instability (the piano key deformity) and front to back looseness which can be irritating. Even long standing deformities can be managed more effectively with the support of the InternalBrace. The shoulder, which is made up of your upper arm bone (humerus), shoulder blade (scapula), and collarbone (clavicle) is the most moveable joint in your body. with support but more complex injuries, and those that fail to heal may require surgical assessment. Like golfers elbow is an over use injury resulting in an inflamtion tenderness at the site of tendon attachment to bone just above the elbow. The supporting ligament on the inside of the elbow is called the ulnar collateral ligament (UCL). Disruption of the UCL causes instability and weakness as the joint can open like a hinge. The InternalBrace has transformed care allowing the direct repair of the injured ligament and early mobilisation. This more than halves recovery time and return to sport or work. This new approaches is currently in most demand in the US for the treatment of baseball pitchers. resulting in a classic painful arc. 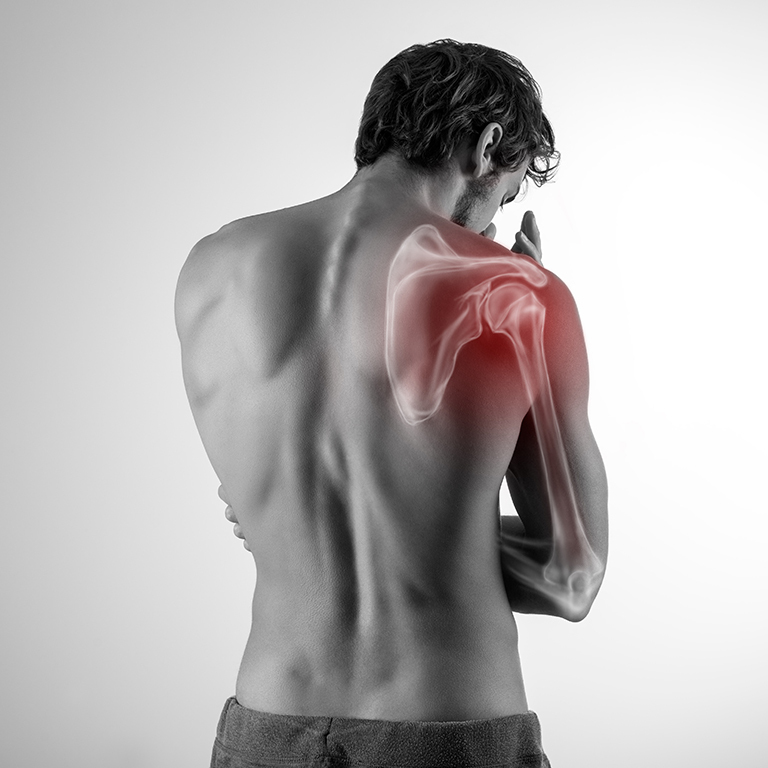 The pain is due to the nipping of soft tissues under the bony prominence of the shoulder (Acromion). Pain is usually referred to the badge area on the outer aspect of the upper arm and can be associated with muscle inhibition and weakness. Physiotherapy plus injection can be adequate but more resistant cases can result in tendon damage or even a tear and is best managed by a keyhole procedure to decompress and provide more space for tendon movement. Imaging can exclude other pathologies which can contribute to this presentation such as calcium deposits in the tendon or early frozen shoulder. Distal biceps rupture is often seen in power sports and can be a devastating injury. The avulsion often comes from bone and is close to the neuro-vascular structures (nerves and vessels) of the elbow. Open surgical exploration can result not only in nerve injury but the risk of infection, and scarring resulting in elbow stiffness. “Just updating and thanking. Following an ACL revision I just wanted to inform you that I have just completed a week of skiing (7 hrs per day) with absolutely no issues. Knee felt great throughout and I am very grateful." WILL I BE IN A SLING FOLLOWING INTERNALBRACE SHOULDER SURGERY? ON AVERAGE HOW SOON WILL I BE ABLE TO RETURN TO WORK FOLLOWING IB SHOULDER SURGERY? ON AVERAGE HOW SOON WILL I BE ABLE TO DRIVE FOLLOWING IB SHOULDER SURGERY?